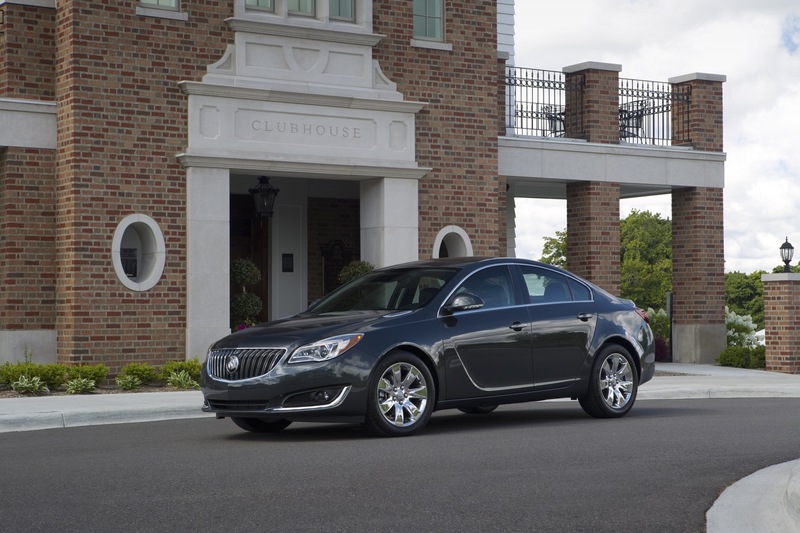 The Buick Regal premium sedan receives several updates, new features and equipment changes for the 2016 model year. 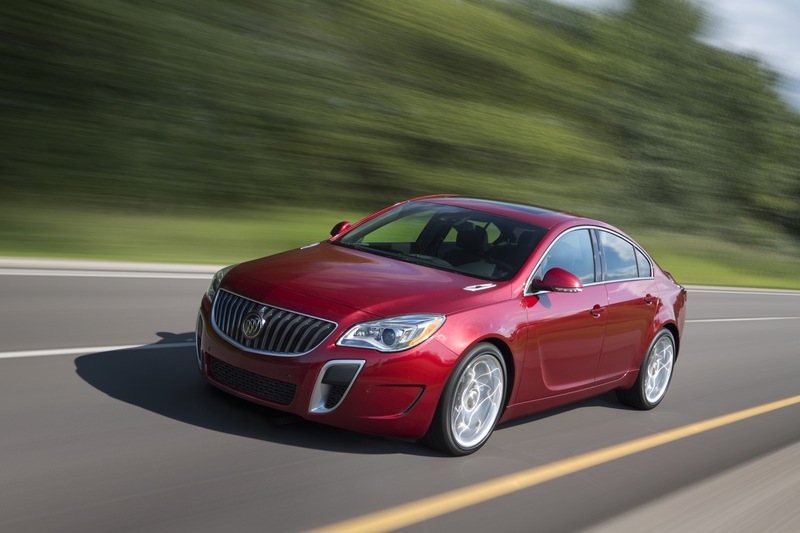 The “standard” Buick Regal is updated new features, options, and colors for the 2016 model year. 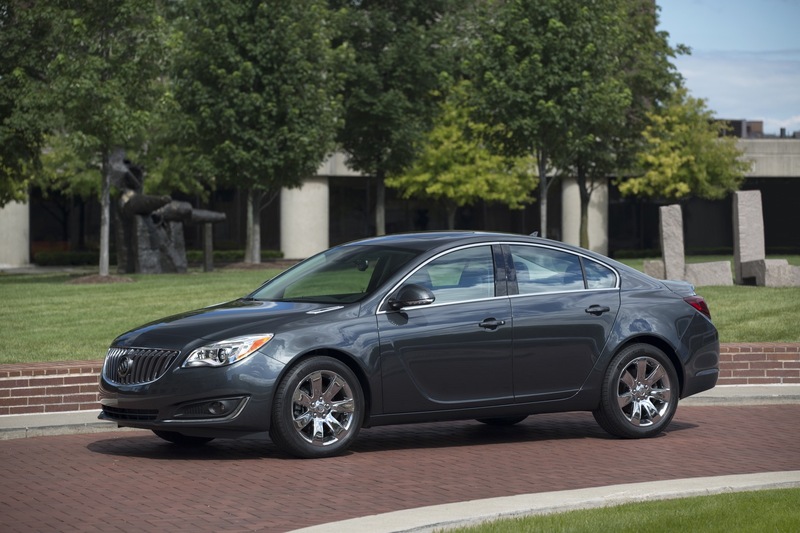 Full info on the 2016 Buick Regal 2.4L. The fleet-only Buick Regal eAssist mild-hybrid is updated new features, options, and colors for the 2016 model year. Full info on the 2016 Buick Regal eAssist. 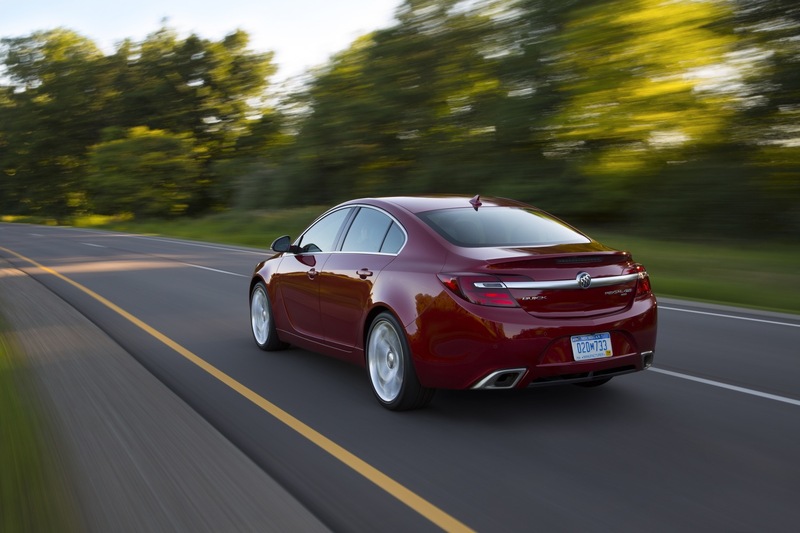 Buick gives the Regal Turbo the same equipment, feature, and color updates as the rest of the 2016 Regal family. 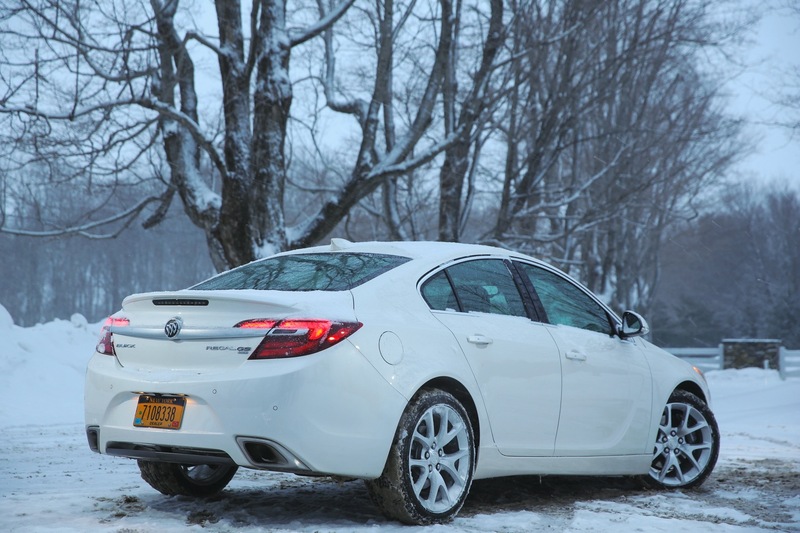 Full info on the 2016 Buick Regal Turbo. The high-performance Buick Regal GS also receives the same equipment, feature, and color updates as the rest of the 2016 Regal family. 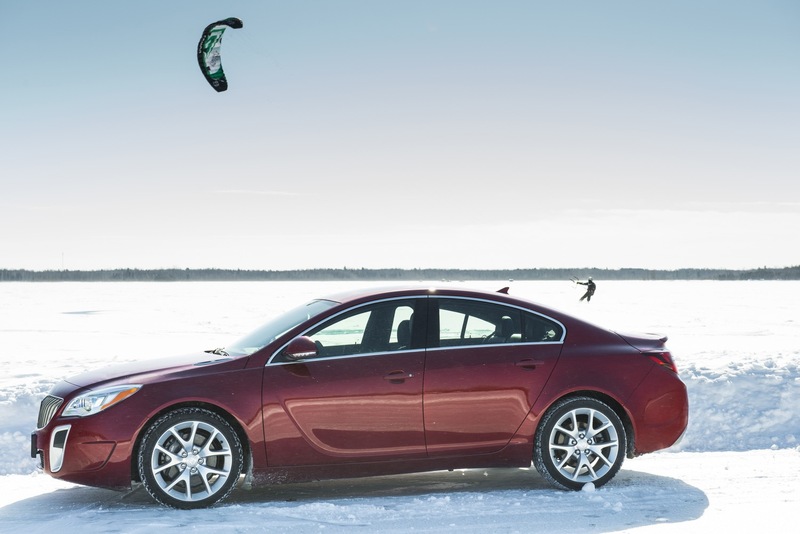 Full info on the 2016 Buick Regal GS. What’s more, the Champagne Silver Metallic color is renamed to Sparkling Silver Metallic. 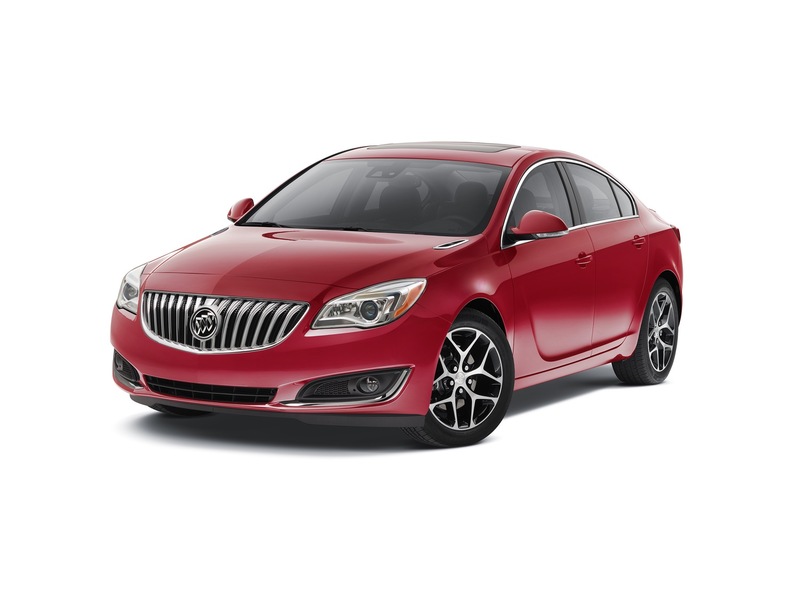 In addition, the 2016 Buick Regal gets new infotainment systems with new screen appearance and two USB ports as well as LPO-level 19-inch (48.3 cm) machine-faced aluminum wheels with all-season blackwall tires. Rounding out the changes is the removal of the 110-volt power outlet from the standard equipment list on the 1SN trim level and the deletion of the SD card slots. 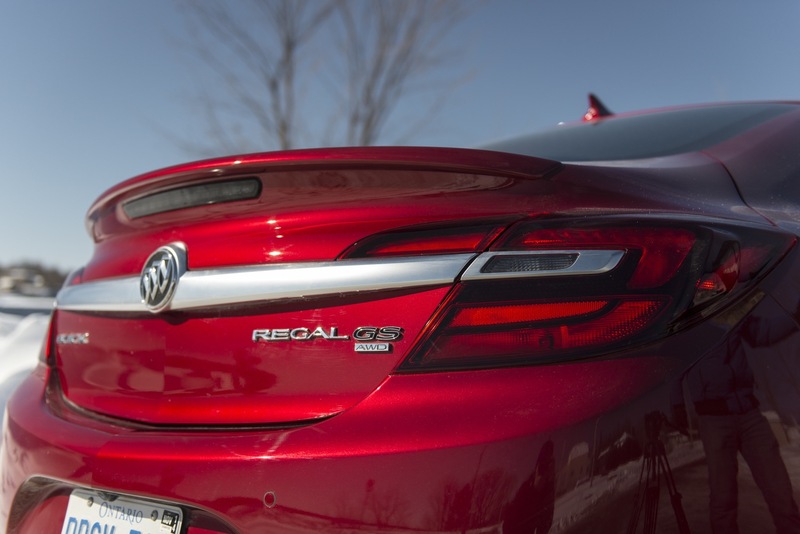 The Regal is tasked with attracting the “contemporary” and “younger-buyer” to the Buick brand. The vehicle’s design features four doors with a swept greenhouse as well as a low and wide stance that makes its sporting intentions clear. Up front, the sweptback headlamps are available in projector halogen and Xenon high-intensity discharge configurations. Available LED daytime running lamps offer a distinct look while a chromed corporate waterfall grille keeps family ties. Out back, the chrome “bridge” connects the two LED wraparound taillamps for a more upscale and coupe-like look. Dual stainless-steel exhaust tips round out the refined look. 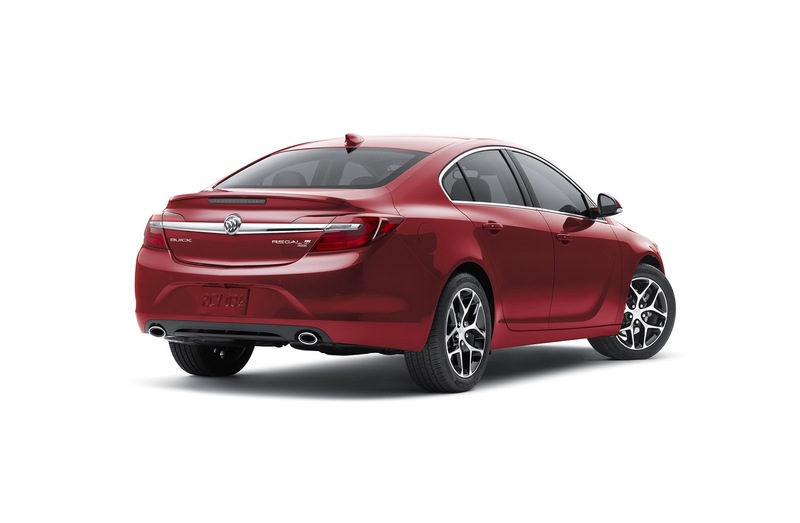 Like all fifth-generation Regals, the 2016 Regal continues to be available exclusively in a four-door sedan body style. By contrast, the Regal’s European twins — the Opel Insignia and Vauxhall Insignia — are also offered in four-door hatch and five-door wagon body styles. 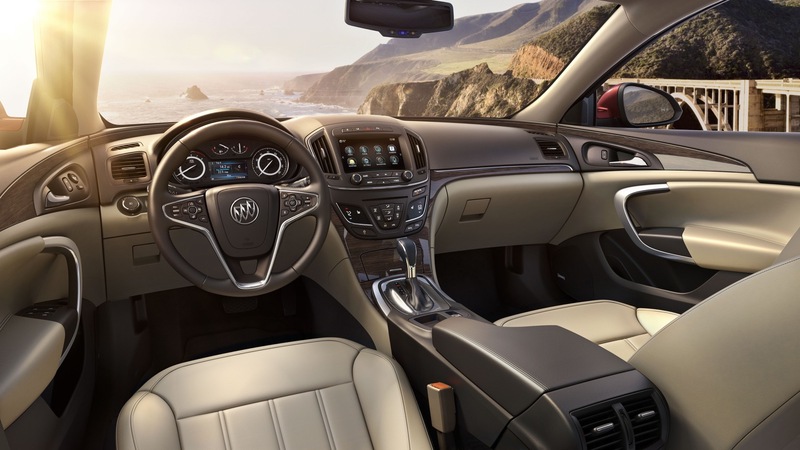 The interior of the 2016 Regal combines sculptural beauty and refinement with technology. Chrome, leather, wood and/or piano black accents trim the interior to deliver an upscale ambiance. The centerpiece of the cabin is Buick’s next-generation IntelliLink infotainment system. It is housed in the “center stack” of the instrument panel and houses the system’s eight-inch color touch screen, serving as the controller for Regal’s audio system, as the display for the rearview camera system, and available navigation system. The center stack is also home to the dual-zone climate controls. Like the IntelliLink screen, the climate controls feature capacitive-touch operation and are framed in chrome. All 2016 Buick Regal models come with leather-appointed seats. The standard front seats are buckets with a heating function. On the Regal GS, the front bucket seats are upgraded to sport bucket seats. All 2016 Buick Regal models feature 60/40 rear split-folding seats. 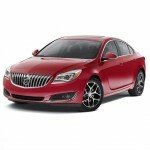 Regal 1SX (GS): $34,990,$37 415"
As of October 20th, 2015, the Buick Regal online configurator only shows the Premium II and Regal GS groups offering AWD. 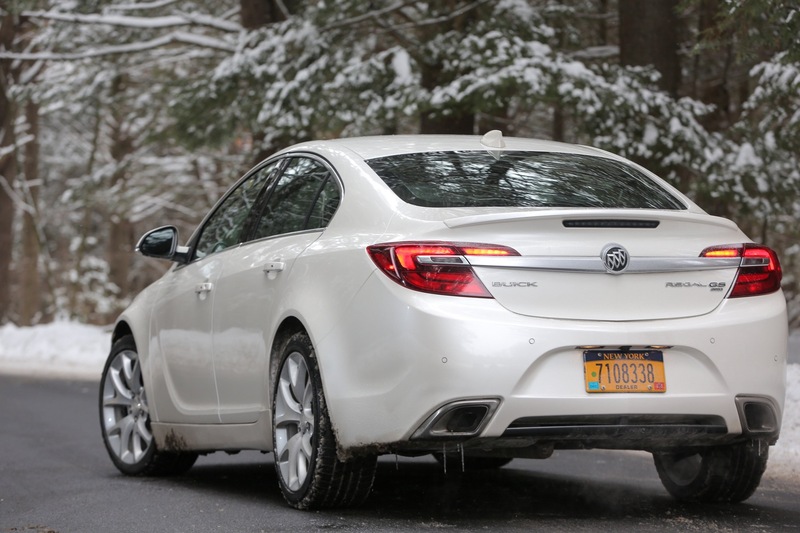 The 2016 Buick Regal also introduces a new Sport Touring model. An appearance package, the 2016 Buick Regal Sport Touring adds a set of machined-face 18-inch wheels with black pockets. The centerpiece of the Regal’s technology is the next-generation IntelliLink infotainment system. It is housed in the “center stack” of the instrument panel and houses the system’s eight-inch color touch screen, serving as the controller for Regal’s audio system, as the display for the rearview camera system, and available navigation system. 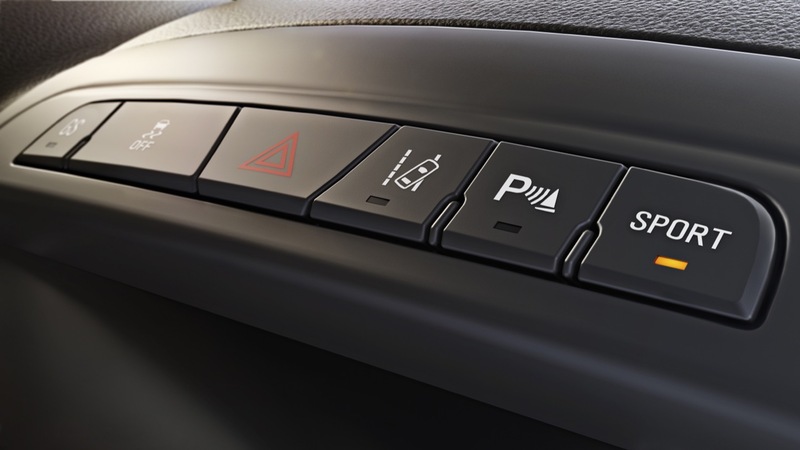 For the 2016 Regal, the IntelliLink system receives several new improvements to appearance, performance and connectivity. The system is designed for easy operation with intuitive controls and smartphone-influenced swipe recognition for easier navigation. 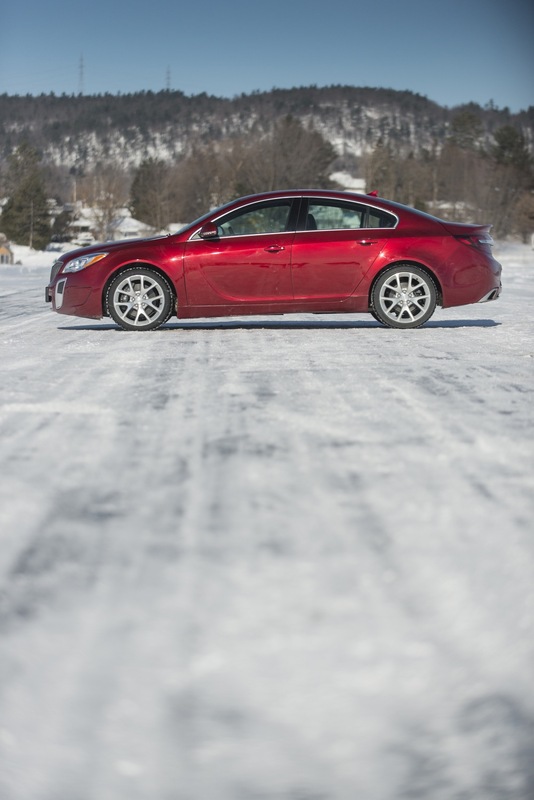 It has been revised to be more intuitive for the 2016 Regal. Connectivity and convenience includes Text Messaging Alerts for smartphone users with Bluetooth profile (M.A.P. ), which reads incoming texts through the vehicle’s speakers, and Siri Eyes Free for iPhone iOS 6 and iOS 7 users to enhance connectivity and convenience. Each enables voice-controlled connectivity, to help keep phones safely stored and hands on the wheel. 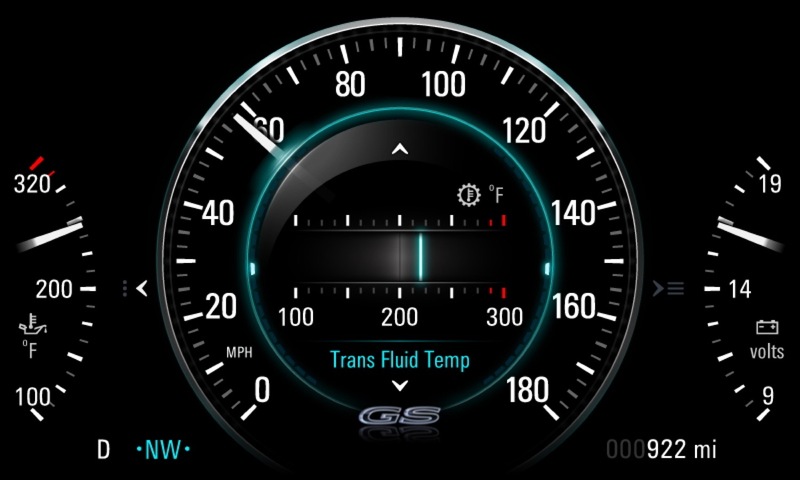 A high-resolution, 4.2-inch color display is the focal point of the instrument cluster. It delivers vehicle information, navigation, audio system functions, phone features and more. 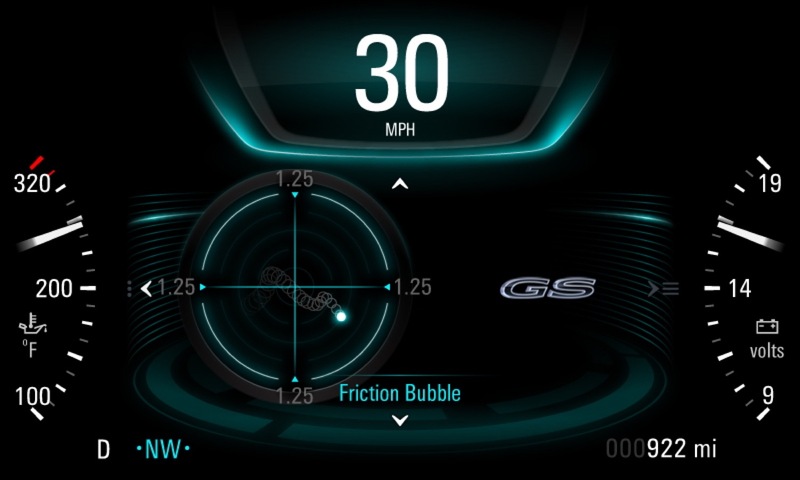 In the Regal GS, an eight-inch configurable color instrument cluster screen is standard. It allows the driver to customize the displayed information with adjustments via steering wheel controls. Continuing with the chrome frame theme, this premium instrument display is framed with chrome accents and delivers chronograph-style graphics in two modes: Touring and Sport. 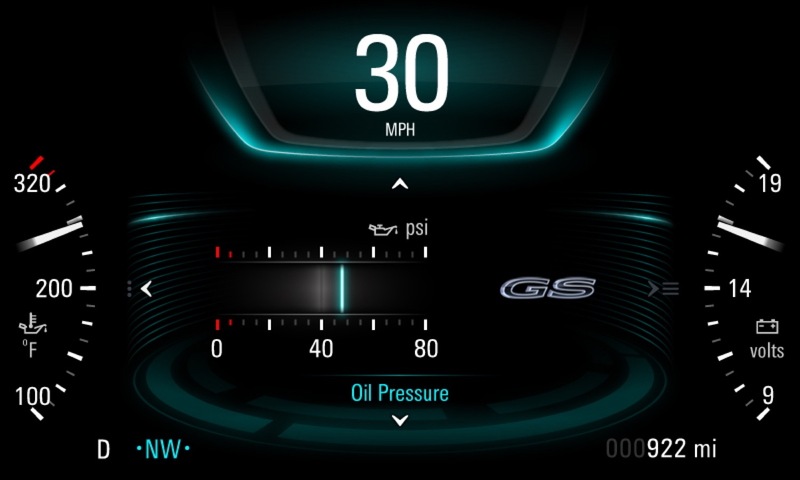 The instrument display is also complemented with a pair of semicircle mechanical instruments for the tachometer and other vehicle functions, portraying the driver-oriented nature of the Regal GS. New for the eight-inch IntelliLink screen for the 2016 Regal, phone integration technology — provided by Apple CarPlay and Google Auto — is designed to take phone features customers would want to access while driving and put them on the vehicle’s display in a smart, simple manner. The features allow customers to use select smartphone apps through the touchscreen interface. In fact, many features can be controlled via voice commands through a button on the steering wheel, helping drivers keep their eyes on the road and hands on the wheel. Using either Apple CarPlay or Android Auto is simple. A “Projection” icon on the IntelliLink screen is visible when a phone is not connected, then changes to indicate CarPlay or Android Auto when a compatible phone is connected via USB. Android Auto requires a phone running Android Lollipop 5.0 operating system or above. Android Auto capability will come later in the 2016 model year. Complementing IntelliLink to enhance the Regal’s connectivity is OnStar 4G LTE connectivity and Wi-Fi hotspot. It provides a mobile hub for drivers and passengers to stay connected. The hotspot is on whenever the vehicle is on and comes with a three-month/three-gigabyte data trial. 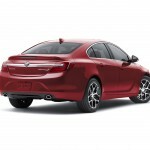 For the 2016 model year, the Regal continues to offer three engine choices mated to four six-speed automatic transmissions. Only available on the 1SV model, the naturally-aspirated 2.4L I4 Ecotec engine (production code LEA) rated at 182 horsepower and 172 pound-feet of torque. The motor features spark ignition direct injection and variable valve timing, with fuel economy coming in at 31 MPG highway and 19 MPG city. The 2.4L I4 LEA is paired to GM’s six-speed Hydra-Matic 6T45 MH8 automatic transmission. The engine is available exclusively in front-wheel drive configuration; it is not available in all-wheel drive. Available on all Regal trim levels above 1SV, including Regal 1SL, Premium I, Premium II and GS trim levels, the 2.0L Turbo I4 (production code LTG) serves as the optional performance-oriented engine and delivers 259 horsepower and 295 pound-feet of torque at 3000-4000 rpm (2500-4000 for the Regal GS). In front-wheel drive configurations, the Regal Turbo achieves 30 MPG highway and 21 MPG city. The figures drop to 27 MPG highway and 19 MPG city with the all-wheel drive system. The Regal GS features the same 2.0L Turbo I4 (production code LTG) engine as the Regal Turbo and makes the same 259 horsepower and 295 pound-feet of torque. However, it delivers it 500 RPM sooner, at 2,500 RPM rather than at 3,000 RPM as the Regal Turbo. 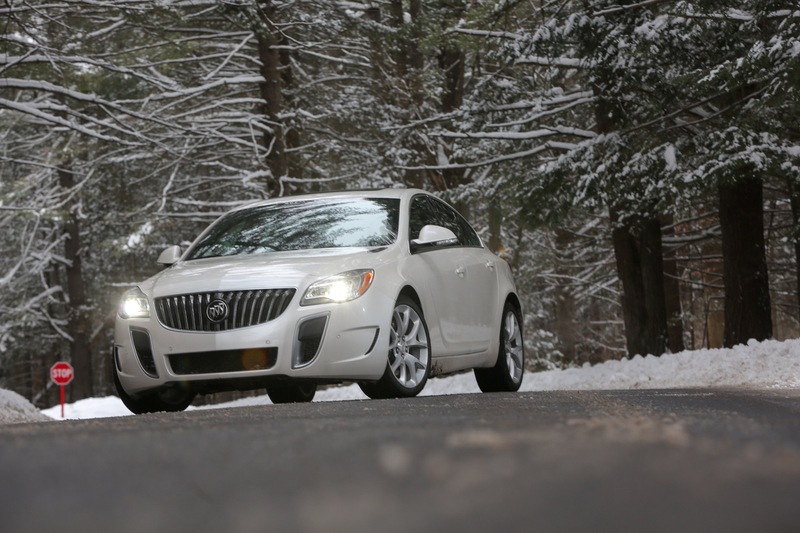 As with the Regal Turbo, the front-wheel drive Regal GS achieves 30 MPG highway and 21 MPG city. The figures drop to 27 MPG highway and 19 MPG city with the all-wheel drive system. Only available to fleet customers, the 2.4L I4 (production code LUK) offers a mild-hybrid powertrain exclusively on the Premium I/1SN trim level. The eAssist mild-hybrid engine features Stop/Start technology, which shuts down the engine in certain situations, such as stopping at a traffic light, to significantly reduce fuel consumption. The engine will turn back on upon the driver releasing the brake pedal. 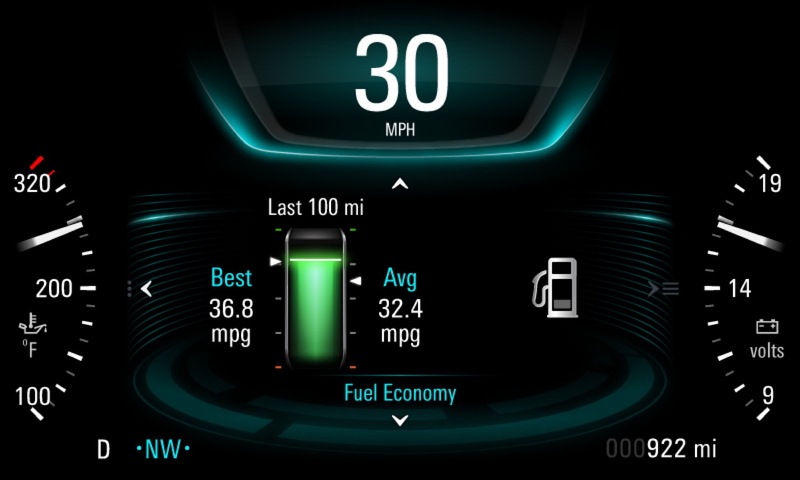 Fuel economy rises to 35 MPG highway and 25 MPG city. The 2.4L I4 eAssist LUK is paired to GM’s six-speed Hydra-Matic 6T40 MHH transmission. The mild-hybrid 2.4L eAssist engine is available exclusively in front-wheel drive configuration; it is not available in all-wheel drive. 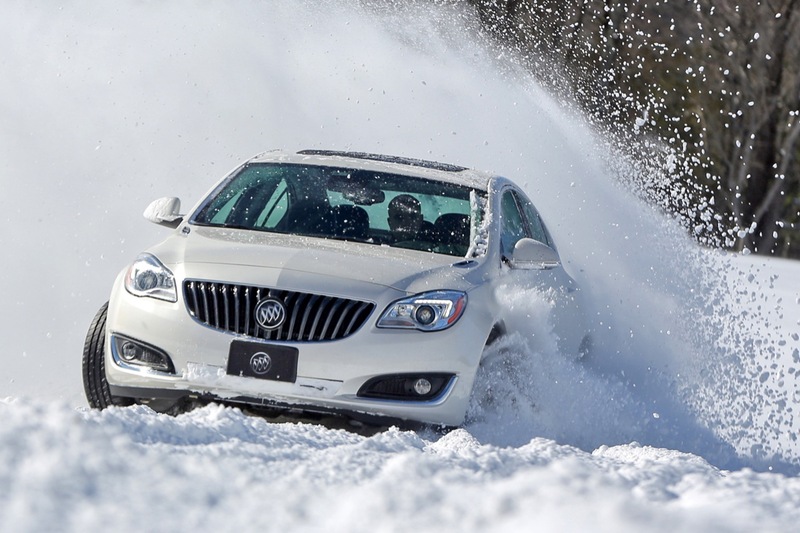 The 2016 Buick Regal is available in front-wheel drive. All-wheel drive is an option. Available with the 2.0L turbo engine, the advanced all-wheel drive Haldex system is designed to offer “sure-footed” handling in low-grip conditions and provide a more performance-oriented driving experience. 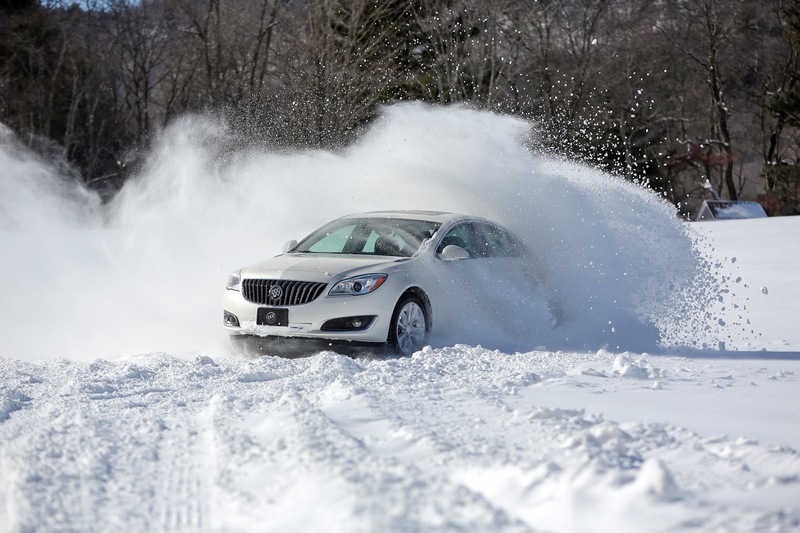 The Regal’s AWD system is fully automatic and on-demand that employs wheel-slip management and an electronic limited-slip rear differential. 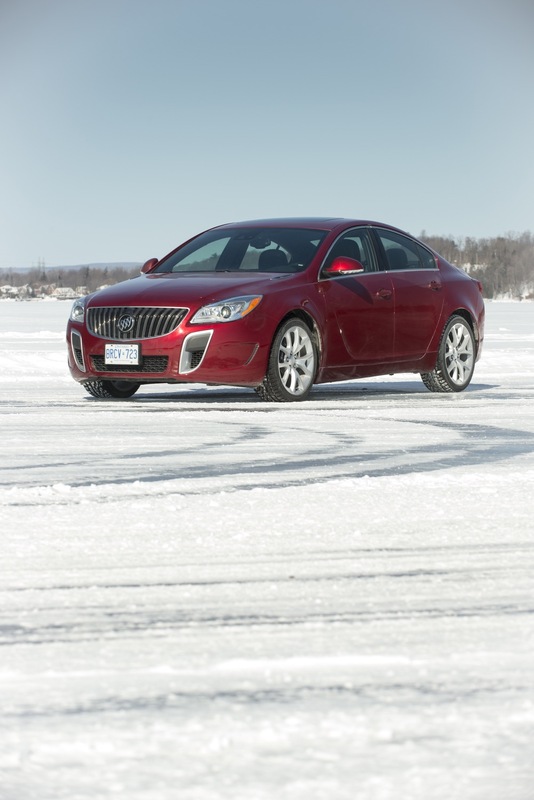 In regular conditions, the system will apply minimal torque to the rear wheels when AWD traction isn’t required. 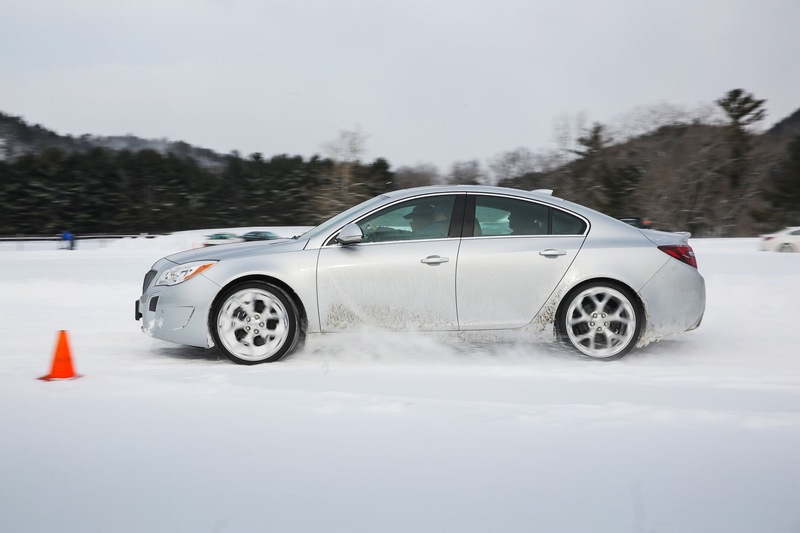 Not only does the AWD system optimize traction in all driving conditions, it also enhances cornering capability. The capability is even more exaggerated in the Regal GS model, where the driver can use the Interactive Drive Control System, adjusting parameters such as traction control and steering weight. 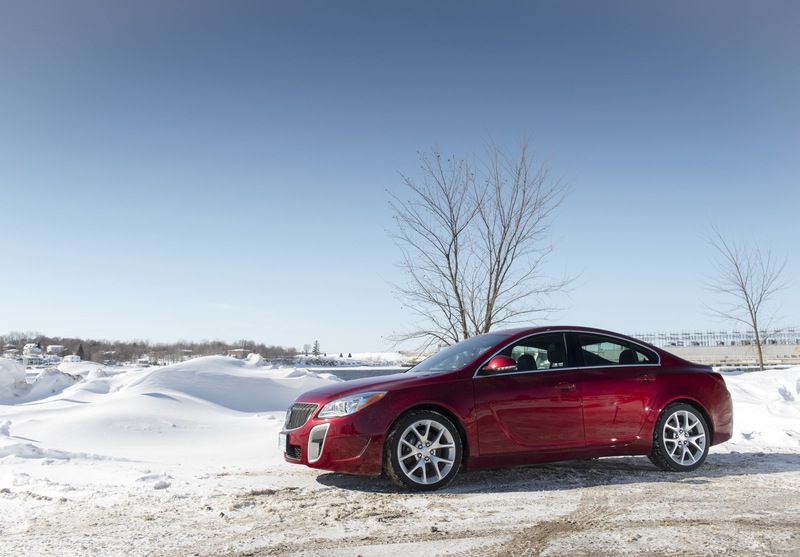 With a chassis developed by GM’s Opel arm in Germany, the fifth-generation Buick Regal has sport-sedan dynamics with the quiet and refined ride common to Buick vehicles. 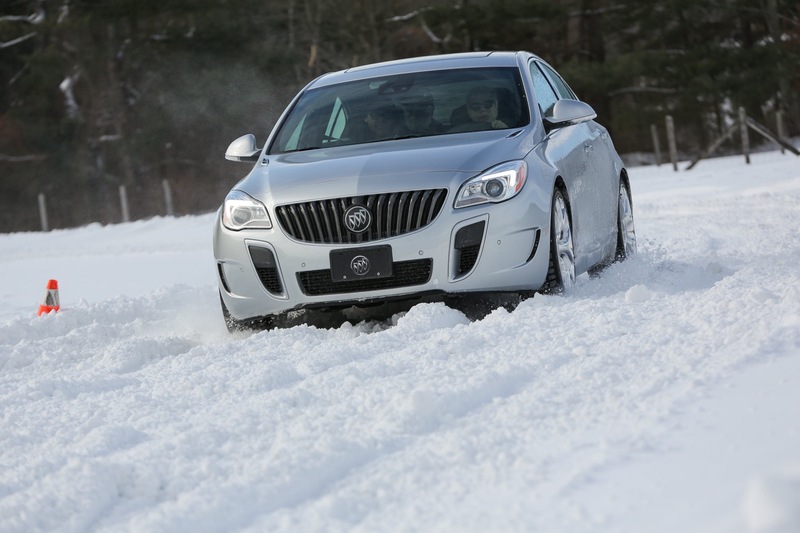 The Regal’s Interactive Drive Control System chassis technology is standard on the Regal GS. It offers enhanced vehicle stability and greater driving safety. It is designed to change the personality of the car based on the personality of the driver. A sophisticated driving mode control module continually monitors driving style utilizing yaw rate, lateral and longitudinal acceleration, steering wheel, throttle and vehicle speed. It defines the dynamic vehicle state, including acceleration, braking and cornering, to optimize chassis reactions. It also executes all of the driver selections. All four dampers are electronically controlled and continuously adapt within milliseconds to the prevailing road conditions, vehicle movements and individual driving style. Chassis settings are adjustable by the driver, with Standard, Tour and Sport settings. Sport – optimized for road holding; enthusiast driving. Selecting “Sport” mode optimizes the car for dynamic driving, tightening the suspension and steering response and speeding up the reaction of the automatic transmission. The “Tour” mode is optimal for long-distance cruising or rough road conditions, providing an increase in comfort. “Standard” or Default Mode is the perfect all-around setting for daily commuting and city traffic. The other major benefit of Interactive Drive Control is that it automatically adapts Regal’s performance settings to individual driving styles. When a driver begins to drive more aggressively it will tighten the suspension and increase steering effort and change to a more aggressive throttle response. When the vehicle senses that the driver is doing relaxed cruising, it adjusts settings for rolling smoothness and comfort. Apart from a more rewarding driving experience, Interactive Drive Control also offers safety benefits in emergency situations. For example, if an obstacle must be avoided when the car is in Tour mode, various chassis sensors convey this to the DMC and the dampers are stiffened within milliseconds, delivering greater body control. Premium II and Regal GS trims are equipped with two additional thorax air bags, making a total of eight air bags. 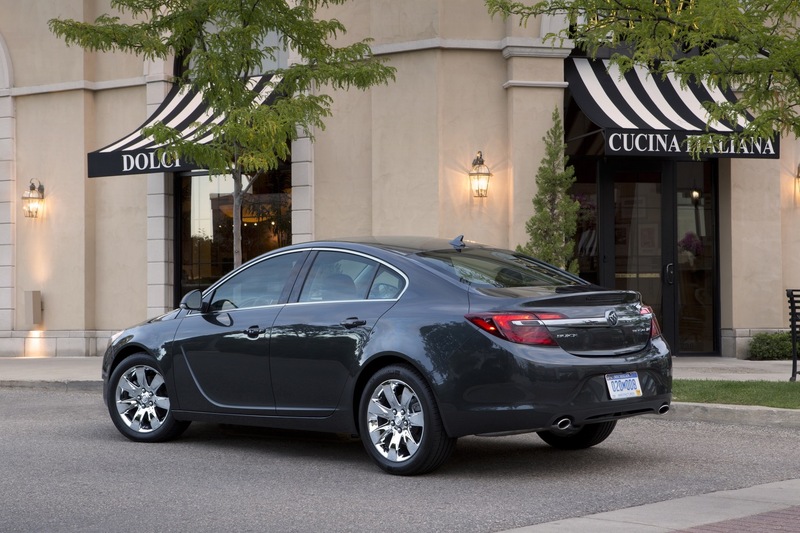 In addition to the new OnStar 4G LTE with standard built-in Wi-Fi hotspot, OnStar offers other benefits to Buick Regal drivers. At the time of purchase, one year of the OnStar Guidance plan includes all of OnStar’s advisor-based safety and security features, including Automatic Crash Response and Stolen Vehicle Assistance, as well as Turn-by-Turn navigation. Five years of OnStar Basic Plan includes RemoteLink Key Fob Services, allowing owners to remotely start and lock/unlock a car (if properly equipped), and activate the horn and lights from anywhere with a data connection. It also includes OnStar Vehicle Diagnostics (OVD), which runs monthly checks of a vehicle’s engine, transmission, anti-lock brakes and more, and Dealer Maintenance Notification (DMN), which sends a diagnostic report directly to a preferred dealer, simplifying service scheduling. The 2016 Regal is produced at General Motors’ Oshawa assembly plant in Ontario, Canada. The 2016 Buick Regal began arriving on dealer lots in the August-September timeframe of 2016. 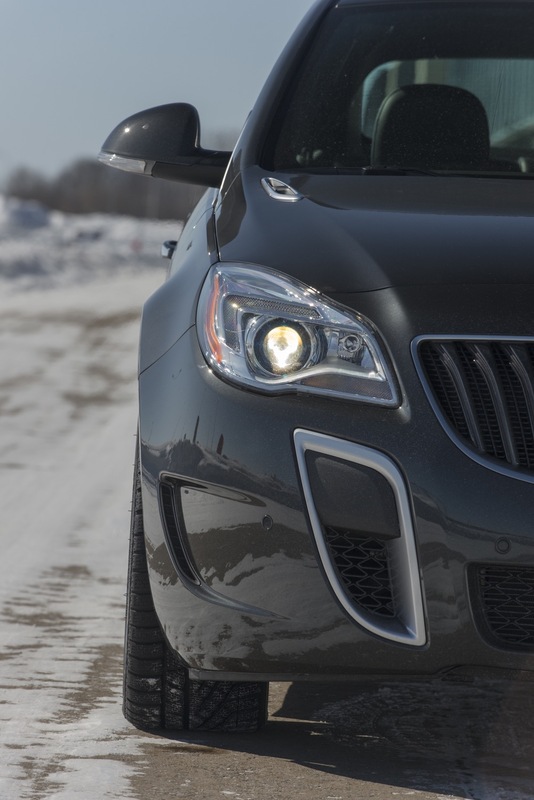 Download the 2016 Buick Regal order guide (PDF Format).